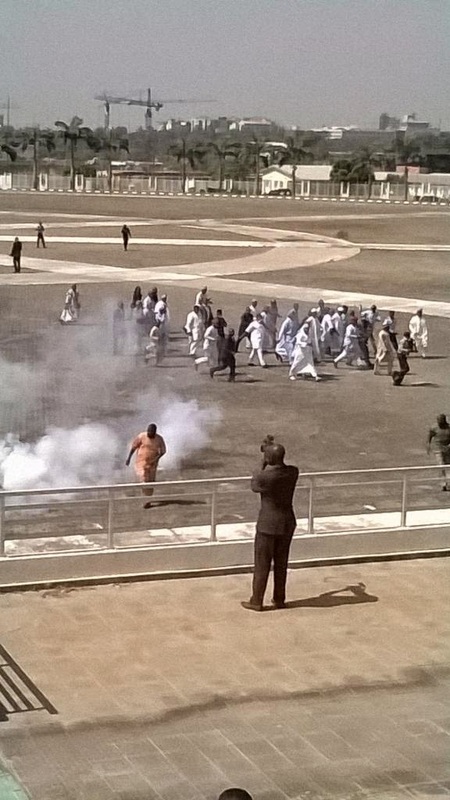 There was serious chaos at the National Assembly complex in the early hours of Thursday. 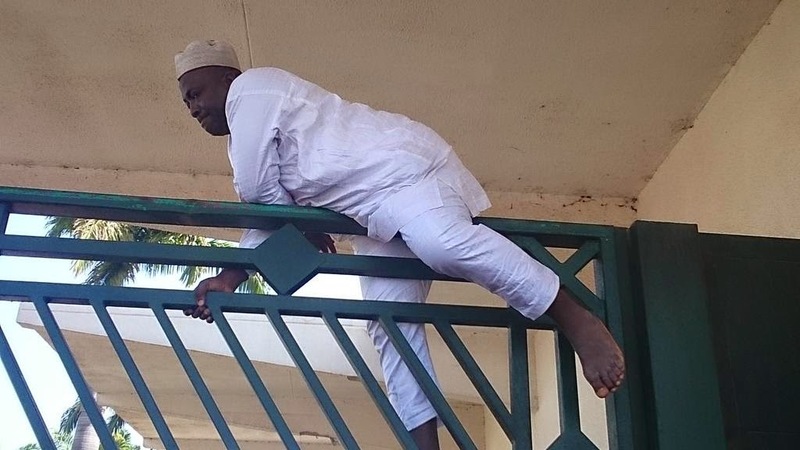 Heavily armed security operatives were deployed at the complex to allegedly prevent Aminu Tambuwal, speaker of the House of Representatives, from entering into the National Assembly complex. 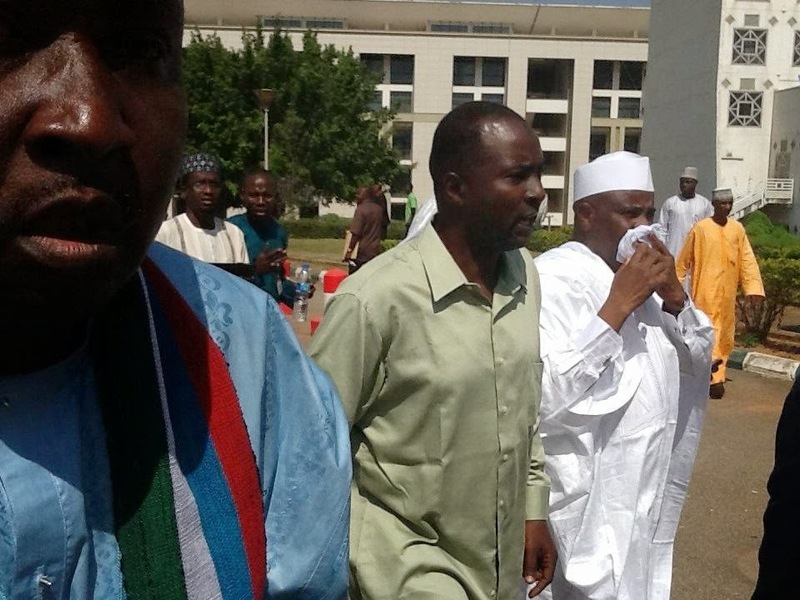 Tambuwal, who arrived in company of APC caucus leaders including Suleiman Kawu, deputy minority leader; Solomon Adeola, Mohammed Zakari, Samuel Adejare, Biodun Akinlade, among others, was whisked through the main gate of the National Assembly at 10:56a.m by Zakari Mohammed and two other lawmakers. However, other lawmakers who accompanied the speaker were locked out. 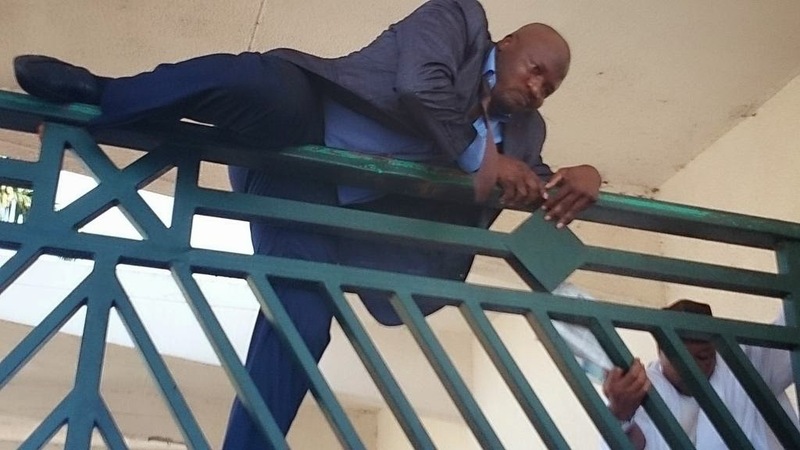 They had to climb the gate amidst applauds from National Assembly workers and heavily armed policemen who mounted barricades at the gate. Senate President David Mark and other senators were also prevented from gaining entrance into the complex. All the gates leading to the National Assembly were shut to prevent the lawmakers from sitting. Over 100 newly deployed security operatives from the Department of State Service (DSS) and Nigeria police took over the security checks at the National Assembly. The situation led to traffic jam in the area as the security operatives conduct thorough checks on incoming vehicles at different locations. The Senate president, who came into the House of Representatives chamber in solidarity, was abused by aggrieved APC members, who accused him of being part of the conspiracy. The maze which serves as a symbol of authority was not released when the speaker finally gained entrance into the chambers. Following President Goodluck Jonathan’s letter to the National Assembly for the extension of state of emergency in Yobe, Borno and Adamawa states members of the House of Representatives were expected to reconvene Thursday to consider it.